This is a partnership of over 90 churches from different denominations in the city. We are working together to reach out to local communities in Hull's City of Culture years of 2017 and beyond. Our project is called 'Communities of Culture'. Hull has a rare opportunity to host a collection of work from the prestigious national art collection in just a few weeks' time. Some 28 pieces from the renowned Methodist Modern Art Collection will go on display until from Saturday 21st October to New Year’s Eve at the Princes Quay Shopping Centre. The exhibition, called Battered and Berthed, gives visitors the opportunity to reflect on the city’s maritime heritage, relationship with the sea, the response to being battered by storms, the wind and waves, and to challenge ideas of home - finding a berth. It has been organised by the Believe in Hull church partnership as part of its contribution toward Hull City of Culture celebrations 2017, with funding support from the Methodist Church. 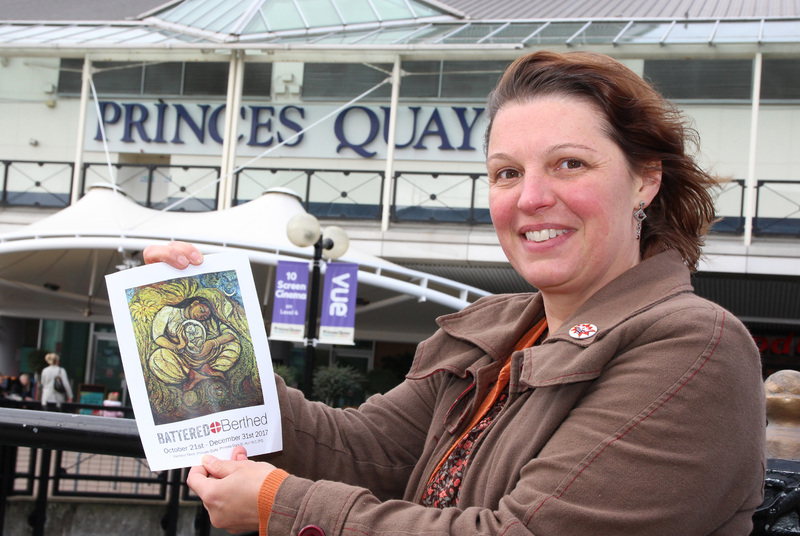 Co-ordinator Liane Kensett (above) says: "I am excited to be part of a team from the churches in Hull working together exhibiting these pieces of art as a gift to our city during the year of culture. I think we have a great exhibition planned over 10 weeks, with space for imaginative discussion and creative responses. We are looking for volunteers to help us deliver a programme that includes school visits and an ‘arts house’ of live performers, reflective talks and music." tian story and messages. There are over 40 works in total, including some by well-known artists such as Graham Sutherland, Eric Gill, Elisabeth Frink, William Roberts and Patrick Heron. The work at Hull will include The Dalit Madonna by Jyoti Sahi – one of the founders of the Asian Christian Art Association - and Storm over the Lake by Eularia Clarke. An education pack is being produced to attract schools which will have opportunities to tour the exhibition every week as part of their RE curriculum, and events such as workshops and talks will be organised. The idea is to encourage as many people as possible to visit and explore the work in different ways. Volunteers are being sought to help staff the exhibition, which will be open seven days a week. Contact Believe in Hull team via batteredandberthed@gmail.com or 01482 445252. Thursday, 7.30-9pm: "Arts House” performances. Mondays to Wednesdays will be reserved for schools and community groups. 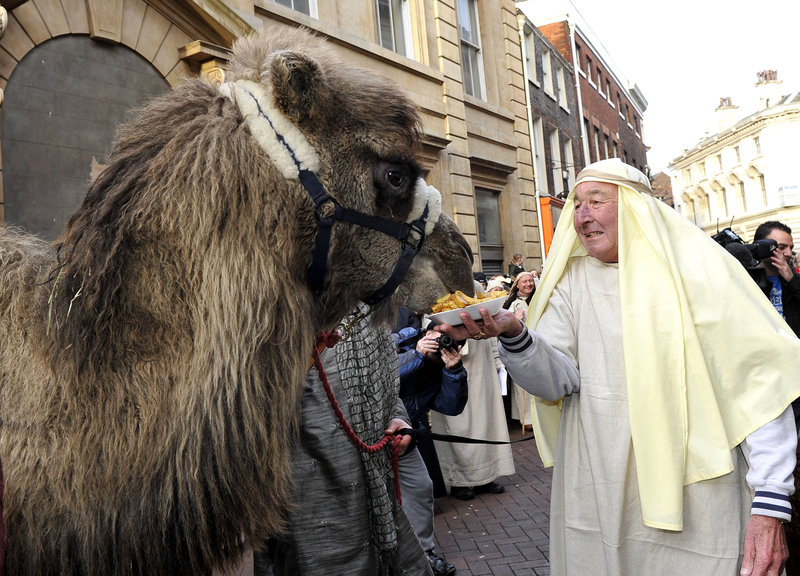 Real camels are returning to Hull for a nativity spectacular fit for the City of Culture year joining a line-up of BBC Look North presenter Peter Levy and the Bishop of Hull, to name but two. The Live Nativity is a colourful re-telling of the Christmas story, a joint venture between Hull Minster and Believe in Hull, and takes place on Saturday 16th December with a stellar local cast, complete with real camels, sheep, and a donkey. Peter Levy will play Angel Gabriel, Rosie Millard, chair of Hull City of Culture 2017, Hull City Council culture supremo Jon Pywell and Inspector Kirsty Tock, of Humberside Police, will take on the role of the Magi and the Bishop of Hull will put her crook to good use as a shepherd. The event, which is being organised by Hull Minster in conjunction with Believe In Hull, hopes to amass a 300-strong choir made up of local people. Hull creative performing artist Sarah Davies has been recruited to direct the event and add more cultural flourishes to it. The action will start from ‘Nazareth’ - the monument in Queen Victoria Square - at 1pm where Mary will be called by the angel Gabriel to give birth to Jesus in Bethlehem – Trinity Square. The animals and nativity characters will journey to the church in a colourful procession involving real pub innkeepers, and other surprises. A large nativity scene will be erected in Trinity Square where there will be communal carols led by the Nativity Praise choir and the Humberside Police Brass Band. Families will get the chance to see the animals up close after the nativity performance ends and then help tell the story themselves with a short crib service inside Hull Minster. 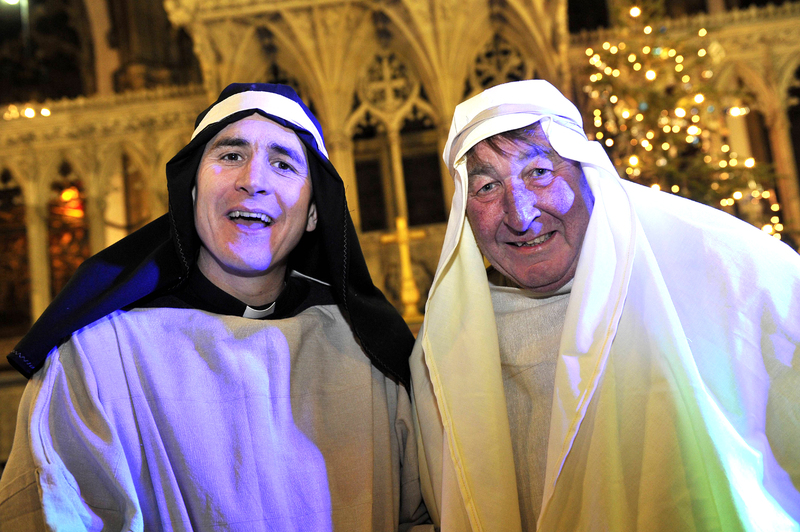 Rosie Millard, chair of Hull City of Culture 2017, said: "Not since I was a shepherd at the age of four have I been quite so excited about Christmas, and I am very honoured to be involved in the Live Nativity. Walking through the City of Culture towards Hull Minster with a camel at my side is a perfect way to announce the joy, drama and immediacy of Christmas to the city. I can't wait!" Kathryn Shillito, City Centre Manager, Hull BID, said: "We are very proud to be one of the sponsors for such a unique event within the city, which will attract great numbers of spectators and onlookers to the city centre and the newly refurbished Trinity Square and Hull Minster." Please contact Kia at easterpraisemusic@gmail.com. The animals will be able to be viewed in Queen Victoria Square from 12noon and the nativity will begin at 1pm.